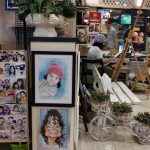 When the cross stitch craze first started decades ago when I was very young, I remembered the cross stitch cloth and the threads specially for cross stitch are very pricey. 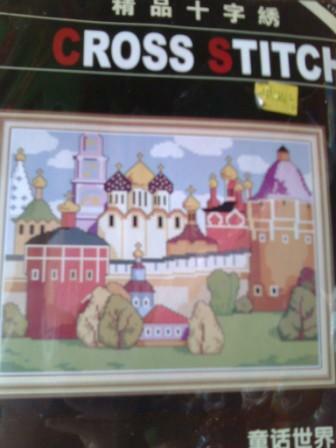 Today, the price had gone down and I can find cross stitch kits being sold at some gift or stationery shops. 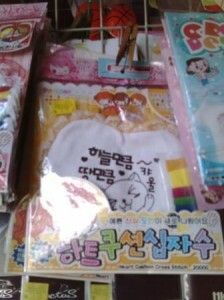 Above: Together with the cloth, threads and design (in colors), the kit above is sold for about RM20 plus at a shop in Petaling Jaya, Malaysia. 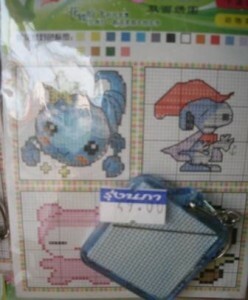 Above: The same shop also carry the cross stitch kit – with cute designs but cheaper due to less details involved. 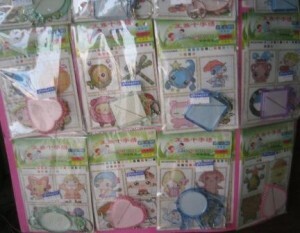 Above: Mini cross stitch kits sold at a shop in Ngao, a small town in Thailand. The design is provided, with the key chain but not the thread. 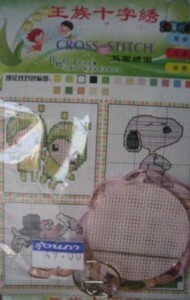 The same idea can be adapted if you want to create your own cross stitch kit. 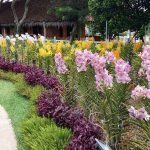 Just that with mass production, the price of items had gone down but in places where these items are not available, you can still create and sell them for higher price if the demand is there. It’ll be good as craft projects for the family to do together.